Rosum is the leader of a group of twenty Shabak families from a small village outside of Mosul, Iraq. Shabaks are Kurds that have Iranian roots, speak Arabic, and are some of the persecuted minorities being targeted by ISIS. On August 7, Rosum received word ISIS was headed toward their village. To make matters worse, Sunni Iraqi’s from a nearby village were joining forces with ISIS and were descending on them from the north. With only two hours to spare, Rosum and these twenty Shabak families escaped, taking only a few belongings, traveling the dangerous Mosul Highway to Kalak. They stayed in Kalak for two days, but they knew they needed to escape further (ISIS stormed Kalak the next day). Rosum suspected Erbil would be inundated with refugees, so their path led them to Soran – a town of 100,000 in the mountains of Northern Iraq. The mayor of Soran made arrangements for them to temporarily stay in a partially constructed building, but they knew their journey was not yet over. Billy Ray and Tim Buxton, along with their families, serve with World Orphans in Northern Iraq. 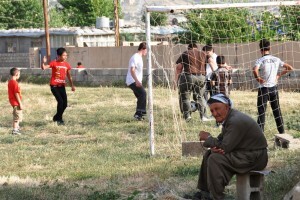 Soran, nestled in the mountains near the borders of Turkey and Iran, has become their home. Erbil is the closest major city where they do all of their banking and major shopping. On August 7, a rumor spread through Erbil that ISIS had entered the city. That rumor proved to be false, but the terrorists were nearby and the threat was growing. The US began airstrikes to protect fleeing Yazidi families and to protect “American assets” in Erbil. Uncertain of how effective the airstrikes would be and not wanting to wait until it was too late, the Rays and Buxtons temporarily evacuated to Turkey via a safe corridor around the front lines. Bolstered by air support, the Kurdish Persmerga forces pushed ISIS back from Erbil and retook the strategic Mosul Dam, turning the tide. Mayor Krmanj Dergali of Soran has been a friend to World Orphans for the past five years as we have developed the acre of land the city gave World Orphans to serve widows and orphans. 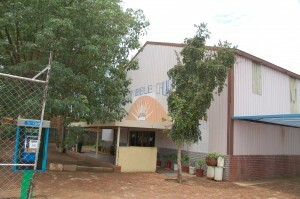 Today the property includes a community center and soccer field. Mayor Krmanji has the unenviable task of finding shelter and providing care for over 2,000 displaced families who have fled to his city. Many are staying in schools and unfinished/abandoned buildings. When the Rays and Buxtons returned, they immediately met with Mayor Krmanji and asked him how World Orphans could help. Mayor Krmanji said, Billy, I have 20 families living in a partially built apartment building that have to move, they cannot stay where they are. Can you set up a refugee camp on your property for them? They need to move in a week. World Orphans is not a refugee ministry. We do not have experience in setting up or running a refugee camp. But we know that God has us strategically placed to be able to make a difference in the region. 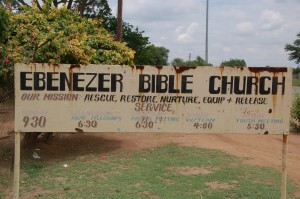 In fact, we named the community center “The Refuge” years ago praying it would become just that to people in need. We also know that the refugee/alien/sojourner is listed with orphans and widows in Scripture as those we are to care for. On September 9, I had the privilege of being in Soran to welcome Rosum and his twenty Shabak families to The Refuge. I told Rosum we were sorry for what they have endured, that they had to flee their homes in such uncertainty, not knowing when they will be able to return. But I also told Rosum that we wanted them to feel welcome, that we hoped this would be their temporary home – not a camp. I told him we cared about them and that we were here to serve them. Their path is uncertain. Their village has been looted and littered with landmines, and their homes have been booby-trapped. They do not know when it will be safe to return. Rosum wept that evening, overwhelmed by the weight of the past month. World Orphans will stand with them. God has graciously connected our paths, and we are honored to be a part of their story. Thank you for partnering with us as we care for these precious families, our journey is not yet over. Will you join us? We would be honored by your support. What a joy it is to share with you the work we have accomplished together in 2013. We exist because we believe what Scripture says about the church, the orphan, and the expansion of the Gospel. 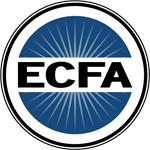 We hope you will take a moment to read this letter from our President. Know we value your prayers and partnership. Against the darkness of poverty, hunger, abandonment, injustice, and sin shines the bright light of the Gospel of Jesus Christ and the hope of full redemption for those who believe. 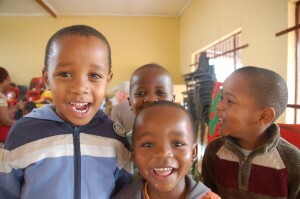 It is our hope and prayer to see orphans and vulnerable children restored to innocence, joy, and delight. As Jesus said, “The kingdom of heaven belongs to such as these.” We want to help them recognize their value and true identity in Christ, to help them understand that their past does not determine their future. Food, medical care, education, and emotional support - these are all critical pieces of a wholistic approach to orphan care. And yet, short of the transformational work of the Gospel, it is for naught. At World Orphans, we are unashamedly Gospel-focused. All that we do is rooted in the fact that we are loved by a holy God who cares about us perfectly, who cares about us wholly. Our approach to orphan care seeks to reflect that. As you read this report and we share a few of the amazing things that were accomplished in 2013, we hope that you too will celebrate the lasting restoration that is only accomplished through the limitless power of the Gospel. We are thankful for your faithful prayer and support as we continue empower the church to care for orphans - until they all have homes! Am I a Father Worth Celebrating? Sunday, June 15, is Father’s Day. It’s a holiday that will be celebrated in over 50 countries. As I contemplate the day and what it means, this morning I asked my daughters what Father’s Day means to them. As we were walking to school, their response was that it’s a time of celebration. As 7-year-old Norah put it, “It’s a time to celebrate what a great dad we have. You’re smart, you’re strong, you do stuff with us - you’re awesome!” My response was of course a big smile and to give a hug. But for others, I realize, Father’s Day is a time of grieving, a time of regret, a time of wanting, a time of bitterness. It can be a time when those without fathers feel the loneliness and emptiness of death or abandonment, and possibly for others the weight of sin. As I was talking to Norah about Father’s Day, I got to thinking - what makes a good dad? What makes me worth celebrating? What are the characteristics of a good father? Evidently being “strong, smart, and doing stuff” are on the list (in reality I’m neither very strong nor am I all that smart – but I guess those qualities change in the eyes of a 7-year-old). But what else what makes a good dad? So, I looked for answers in Scripture. What are the characteristics of God the Father, and how do they speak to being a father? In my study, despite how often I disappoint and stray from what He desires from me, Father God is compassionate, forgiving, and He desires goodness for me. He is faithful, never leaving or abandoning me, never casting me aside. He is merciful, saving me when I don’t deserve to be saved. He is just, providing loving correction when I need it most. But most importantly, He loves me - no matter what - with a love that flows from grace that I do not deserve and cannot earn. No matter what I do, he will love me forever. I am a permanent part of his family. As a Dad, clearly I am to love my kids, unconditionally. But frankly, that’s not always easy. I mess up – a lot. I don’t love – a lot. I don’t forgive – a lot. I will, without a doubt, let them down. As much as I want to be the perfect Dad, I am far from it. There is only one who is. Only our eternal Father in heaven can meet the needs of my children perfectly. This year for Father’s Day, it is my prayer that I can help my kids celebrate the perfect Father. The one who really is strong, who really is smart, and who really does love perfectly – all the time, without exception, without ceasing, and without them having to do a single thing to earn it. On June 15, over 100 million children will wake up with no earthly father. No cards, no gifts, no celebration. But that is not the full story. They too have a Father in heaven that loves them perfectly, always and forever. This year, will you join me in celebrating the Father to the Fatherless? Will you pray with me that the millions of fatherless children around the world will come to know their Father in heaven who loves them, who will never forsake them? While we work to serve these children, while we seek to help restore and provide hope and help, it is God, our Father and their Father – who heals the wounds of all hearts. And for those of us with this great privilege to be called “Dad,” will you pray that we would be the men He has called us to be, through Him who strengthens and sustains us? He is a Father worth celebrating! May we be a reflection, a small taste, of His great love for our own children…and for those without. To celebrate the fathers in your life this Father’s Day, won’t you consider partnering with us to raise $3,000 for Ebenezer Bible Church in South Africa? The money will help provide food, medical care, education, love, and the hope of the Gospel for 22 children in the partnership. Give now and receive a printable certificate to present on Father’s Day to the special men in your life. Click here to donate. Also, please enjoy scrolling through these photos of children and caregivers at Ebenezer Bible Church.